When opting for a Washington D.C. window treatment company to work with, you want to be sure that you are making the right choice. Smart homeowners and wise consumers know that the right name to trust in is our Shade & Shutter Sales, LLC. Our distinctive, full service treatment covers every facet of the process; from measuring and design to expert installation. This is the best way to ensure that you get the custom interior window coverings that will help to create the overall look that you want. Since our founding, Shade & Shutter Sales, LLC name has been synonymous with expert level service, including the craftsmanship and customer care that we invest into each and every job. Yet our expertise in the field predates that, by far. Owner and founder, Don Glass, has been working, hands on, in the window treatment industry for approximately 35 years now. You can rest assured that we have expertly covered every type of window imaginable, including niche areas such as motorization. We only provide the best product available to our customers, which is why you will find top brands in our selection including Hunter Douglas, Graber, Show-Case Shutters, Lutron Shades, Levolor Blinds, and Kirsch. The majority of products we offer our clients are not available through big box stores, or even online. We carefully and meticulously scour the country, as well as worldwide, in order to be able to bring you the best in innovative and expertly crafted window treatments. We don’t just stay current with the latest in fashionable trends and state of the art options, we stay ahead of it all. We can work with your style, whether its classic and clean, sleek and modern or colorful and contemporary. Our main focus is to be able to provide our customers with the best selection, in top quality, custom made window treatments available on the market today. If shutters are your thing, you are going to love the options that we have available for you. Let us show you all the exciting choices out there and help ensure that you make a decision that will work perfectly for the look that you want to create. From natural shades to motorized shades, to everything in between – we take this line of work seriously an that is evident from the results that we get. Our Washington DC window treatment company wants to be able to help you create your dream home environment, which is why we make it a point to also offer the best in brands, styles and product types. Let us work with you to offer the best in beautiful window fashions including optional fabrics, textures, colors, patterns, styles and more. Our Washington DC window treatment company is the name that you can trust in for the best in fit, design, and installation for everything from blinds and shades to shutters, draperies, and more. When it comes to your window treatment options, let us walk you through each step of the process so that you understand your options and choose something you can live with and love for years to come. Don’t take chances when it comes to the work that goes into transforming your house from ordinary to extraordinary. 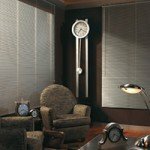 We offer a complete selection of blinds including horizontal, vertical, wood blinds, and faux wood blinds, all with motorization options. The great news is that we also happen to be the “Shop at Home” retail pros, which means we bring the selections to you. 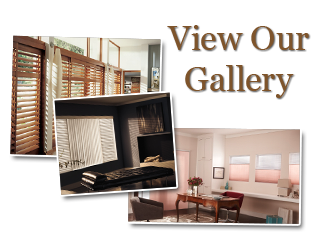 Browse and shop blinds of all kinds, as well as other window covering options, from the comfort and convenience of our mobile showroom. This is the best way to also get a true feel for what the final results will look like and ensure that they will match the colors and style of your existing décor. 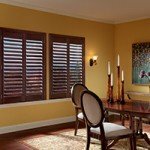 While our area of expertise happens to be interior shutters, this is only one of many areas we specialize in. Our Washington DC window treatment company can help you find the right size and style to compliment your home’s décor by shopping among numerous reputable product brands and lines. 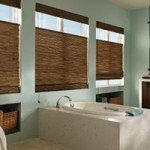 Names like Hunter Douglas, Norman Shutters and Conrad Shades, just to name a few. At our Washington DC window treatment company, we serve all locations in Maryland, Virginia, and the Washington DC metro area. We are licensed and insured to meet the specific requirements and guidelines of each of these locations. Give us a call today to find out more about what we have to offer you as the premier choice for Washington DC window treatments and other custom interior window covering options. If you are looking for a Washington DC window treatment company then please call (703) 651-0358 or complete our online request form.